What is the Impact of Cannabis on Mental Health? More investors are beginning to look into putting stock in cannabis sales as the popularity of the legalization of marijuana continues to rise. In fact, the cannabis market is slated to grow 38 percent in 2019 to $16.9 billion. However, not many people have looked into what impact smoking or eating cannabis has on your mental health. When it comes down to how cannabis may impact your overall mental health, there honestly isn’t enough evidence to support one idea or another. This is because the cannabis plant contains more than 500 chemical constituents. Not every strain will have the same effect. More than 100 of the identified chemical constituents in the cannabis plant are cannabinoids. These chemicals impact the user both mentally and physically, and not always in the best way. Many doctors and other health officials are optimistic about the use of cannabis in the future for treating various ailments, including mental health. Cannabis has been praised for being an effective way to treat psychiatric conditions like depression, anxiety, and even addiction. However, there hasn’t been enough evidence to support those claims yet. There is a significant gap in factual evidence supporting the idea that cannabis can/will help your mental health. Even though many people have touted on its potential, most of the findings studying the impact of cannabis on mental health conflict with one another. No doubt has been placed on the fact that the endocannabinoid system plays a role in regulating your mood. When it comes to cannabis’ impact on depression, however, no randomized trials support the use of marijuana in the treatment of depressive disorders. Findings support the contrary actually. Two of the best-known cannabinoids (THC and CBD) have had the most mainstream attention. 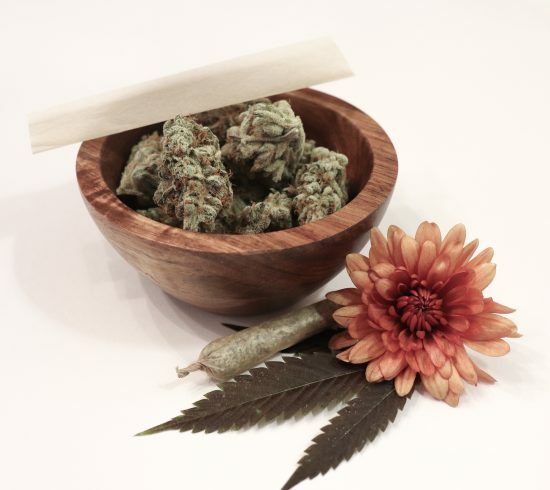 While they are both present in marijuana, both have different effects on the body and mind. THC, which you get when you smoke or otherwise ingest marijuana, has actually been shown to produce anxiety and psychotic features (especially at higher doses). CBD, on the other hand, has antipsychotic effects. Many doctors warn against self-medicating with marijuana but push for cannabis-based medicines to treat it. In reality, though, none of the previous findings are good enough to support cannabis treatment for mental health or addiction. Do Cannabis Users Need to Be Concerned? Obviously, there is probably some kind of health impact we haven’t seen yet that will likely be tied to cannabis use. For folks who smoke (or ingest) cannabis occasionally, it is relatively safe with little-to-no health effects. Individuals with mental health or addiction concerns may find cannabis to be both helpful and a hindrance. The motive behind a person’s cannabis use is also important. People trying to escape from something who use cannabis will likely experience difficulty with mental health and possibly even addiction. All in all, even though cannabis can be helpful for some, it can have a negative impact on individuals with depression, anxiety, addiction, and other conditions people have praised cannabis for curing. So, yes. It is still too soon to tell. There are no solid reports out there supporting the fact that cannabis will have a positive impact on your mental health. More often than not, findings have sent mixed messages. As support for legalization across the U.S. grows, it will be interesting to see if studies find whether cannabis has a positive or negative impact on your overall mental health. What do you think? Does cannabis have a negative impact on your mental health?